Before fully migrating to a completely new technology, consumers usually love the option of switching to the old way of doing things. Part of it is driven by habit and the other by nostalgia. 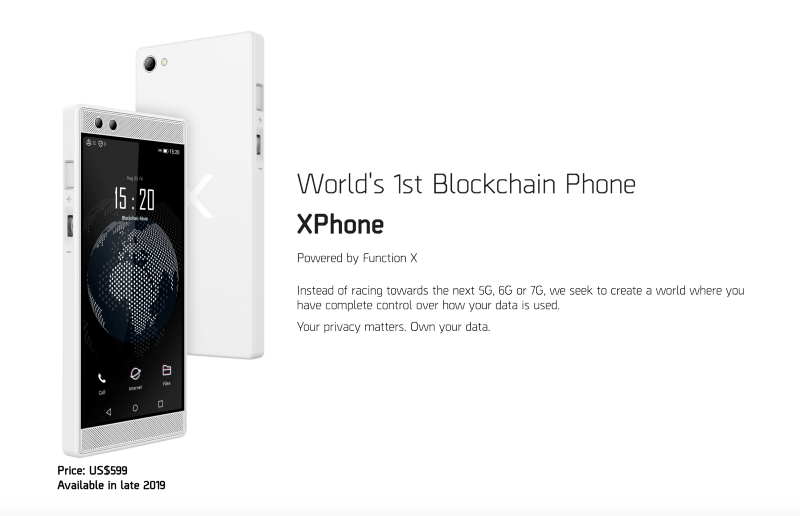 The XPhone by Pundi X (NPXS) offers users the option of switching between the phones native blockchain and the Android 9.0 operating system. This function will be made using the ‘X’ button on the device. A prototype of the phone was first unveiled to the world last October when it was used to make the first phone call made on the blockchain. The new improved XPhone was showcased at MWC Barcelona that was held from the 25th to the 28th of February. The device comes with the option of using the Function X blockchain developed by the team at Pundi X for calling and messaging. Users can also turn off this option and revert to regular Android and the usage of centralized carriers. Every XPhone is also a node on the network and contributes to the operation of the blockchain network. Zac Cheah, founder and CEO of Pundi X, explained how the blockchain phone will return data control back to the users and creators. What this all means is that data control can and must be given back to users. Telecommunications and Internet companies have derived tremendous value from controlling data. By decentralizing apps, we can put this data onto a smart contract, effectively giving control back to creators and to users. Much of what we call peer-to-peer or ‘decentralized’ services continue to be built upon centralized networks. We are changing that. The XPhone will be released later on this year and will come standard with the following features. What are your thoughts on the XPhone? Will the ‘X’ button for switching from blockchain to Android attract more users? Please let us know in the comment section below.